The Umweltforum and the Neue Mälzerei are located directly adjacent to one another. 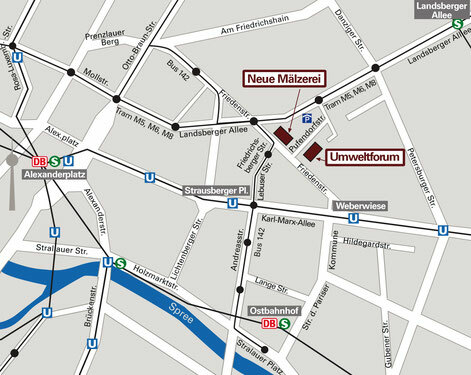 The venue is just a few minutes from Alexanderplatz in Berlin. Participants can book the Event-Ticket from Deutsche Bahn. The price for the Ticket for the journey to and from Berlin is 99 € (2nd class).